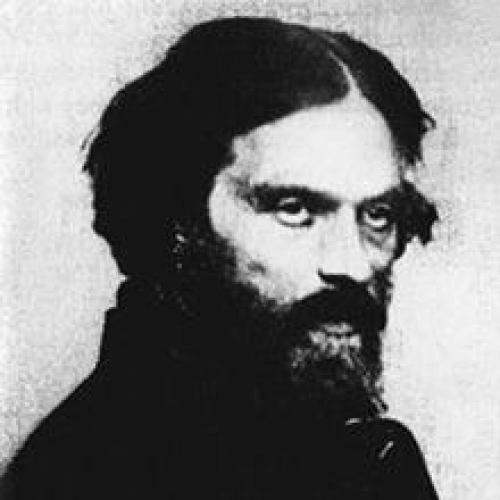 THE POLISH POET Cyprian Norwid—though he is known to his compatriots as an artist of the highest eminence and read by schoolchildren in Poland almost universally, and is, more generally speaking, a poet of Western-canonical significance to whom scholars often compare Hopkins and Browning, and even more insightfully Dickinson and Pound—is unfortunately an obscure poet in the English-speaking world. Though Jerzy Peterkiewicz, Burns Singer, and Christine Brooke-Rose together supplied a serviceable translation of Norwid’s work in 2000, and Adam Czerniawski published last year his more-than-serviceable translation in a second edition, it is at last Danuta Borchardt’s new translation of Norwid, with the original text presented side-by-side with facing-page translations into English, through which English-speaking readers should familiarize themselves with this authentically strong poet. It is Borchardt, with his faithfulness to Norwid’s idiosyncrasies and his fluent music, who best conveys Norwid’s fierce originality, his condensations of thought and elliptical ironies. If there are less ambiguous or less obscure English translations of Norwid, Borchardt’s is still the most lucid and moving. – Have you yourself ever lit a candle? Light? … watch – for I know you well. The poem recommends itself to us with the intimacy of its address (the Czerniawski translation altogether neglects this quality by declining the pronouns of its first quatrain in the third person, so that the speaker comes off not as intimate but rather as bitterly alienated); and the poem recommends itself to us also with its elegant figuration. But it perhaps most recommends itself to us with the smooth modulation of its vision, as severe (if just) Socratic questioning is soon ironized by the poem’s deeply tender and charitable latent presupposition that a faith worthy of the poem is already enkindled within us. “Obscurity” was also a new kind of spiritual lyric for the period, marked by the Norwidian difference. Against the tradition of “propheteering” in Polish poetry he so detested, the poet casts himself here not as the medium through which God speaks, but rather as a “servant” who is domestically, physically laboring as he lights the candle in an attempt to behold the divine. And indeed, throughout his work, Norwid argues against the “received idea” of physical-labor-as-curse, a Romantic cliché, and instead proposes labor as a means of purification and elevation, especially when informed by sacred art. Norwid is a metrical virtuoso, whose sense, like that of any great poet, cannot be divorced from his sound, and therefore is much deserving of Borchardt’s technically meticulous translation above: the harmonious tetrameters of the second and third lines of the quatrain, the sweet and accomplished rhyme on “intonation” and “supplication”—all corrupted by the arresting dimeter and harshly insistent spondee “seen blood” of the final line; and it is only by means of such an uncomplacent style, the poet suggests, that Romantic Polish poetry could be true to the spiritual, political, and personal occasions out of which it arose, the “blood” in which Poland was weltering. I? – could spoil your song. Less faithful to Norwid’s enjambments and his punctuation, and not as sonically conscious as Norwid’s poetry requires, this translation pales in comparison to Borchardt’s, which is not Czerniawski’s failure so much as it is Borchardt’s success (though the difference in the quality of the two translations is generally not so pronounced as it is here, and certainly Czerniawski has his share of successes as well). Norwid will go on to drape his uncomplacent style on a number of new modes, like the fierce satire of “Nerves,” where the “coffin-like chambers” of starving Poles are juxtaposed against an aristocratic parlor, with its allegorical parrots painted “on the plafond” that “from beak to beak will cry: ‘Socialism!’” The targets of the satire of “Nerves” are those who “sell [their] soul to a civilization,” as Norwid articulates it in his prose; or, to put it another way, those whose solution to societal suffering is political rather than spiritual. Of course, this rigorously Christian element of Norwid’s thought might be alienating to a reader in the America of the twenty-first century, but it must be contextualized within Norwid’s belief that civilizations are innately limited, mere means to an end, and that their limitations inevitably destroy them from within (think the decline and fall of the Roman Empire); whereas spiritual solutions to social problems, Norwid thinks, are transcivilizational, transhistorical, and therefore beyond the cycles of creativity and degeneration and decline that doom all other human projects from the start. But, ideology aside, any reader can enjoy “Nerves” for its tongue-in-cheek critique of realism in favor of a more visionary poetics (“Candelabras make a wry face at realism”), despite the essentiality of this critique to Norwid’s satire; and readers may also be moved by Norwid’s brutally self-loathing indictment of himself as “a taciturn Pharisee,” that he has in part sold his soul to civilization by consorting with the Polish aristocracy. The poem treats the defenestration of Chopin’s piano (Norwid and Chopin became friends in exile), perpetrated by Russian soldiers during the Uprising of 1863. In the section above, the speaker’s incredulity that an object of such universal cultural significance could be so mindlessly destroyed soon gives way to high sentimentality, stuttering outrage, grave generalization, and finally to profound pathos, in which both the ruins of the piano and, subtly, the poet himself are metamorphosed into “Orpheus’ body” as it’s torn “into shreds” by the Thracian Maenads. And as the piano is destroyed with the violence of its fall, so is the poet with the magnitude of what has been lost, by his “thousand passions” cataloged in part above, which are a scourge set upon him and his compatriots by vicious human institutions lurching through history to their own ends. It is only in thinking on “our grandson yet to come” and exhorting him to “rejoice” that the poet is able to recollect himself. And indeed, Norwid’s descendants have rejoiced—in the rediscovery of their spiritual ancestor’s works. They recognize in him a canonical style and a deep wisdom molded in misfortune, by means of which Norwid reconciled himself to the world of which he was part. Though these poems are difficult, didactically requiring much of their readers, the pleasure to be derived from so consummating them is great. They please as part of their instruction. Joshua Wilson is a former literary intern at The New Republic and a student at Harvard College.